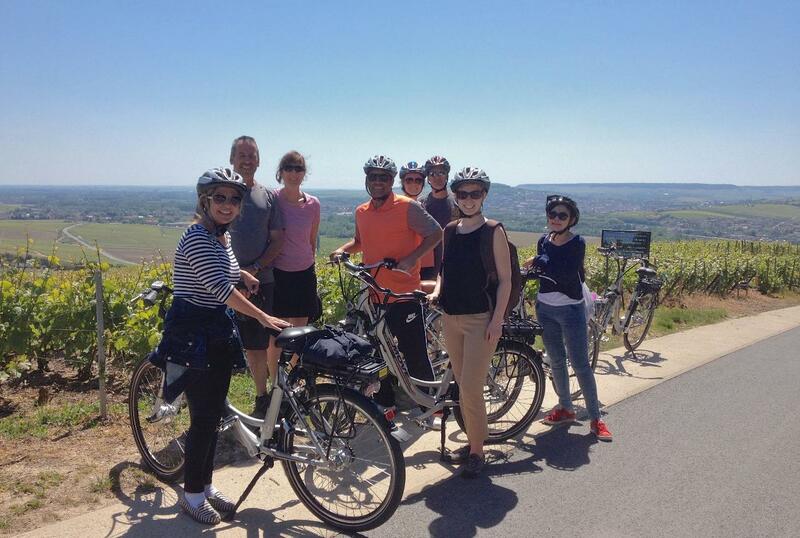 Join Bike About on a fantastic day biking through the Champagne Region on E-Bikes! After a short train ride from Paris to Epernay (about 1 hour)- we'll spend the day discovering Champagne's charming vineyards, ancient villages & world famous wine. 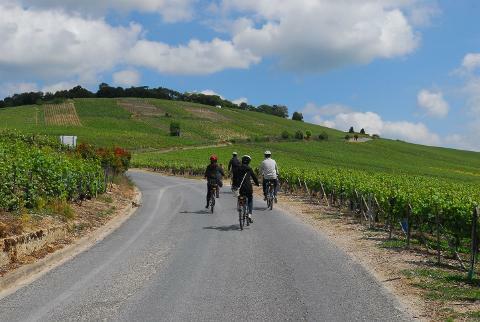 E-bikes are the perfect way to experience Champagne, as we'll pedal with ease through the beautiful countryside. You'll hear fascinating history, see how Champagne is made, meet a local producer and taste some of France's best Champagne- all on an easy day trip from Paris. An E-Bike is like any other bike you've ever ridden, only easier. 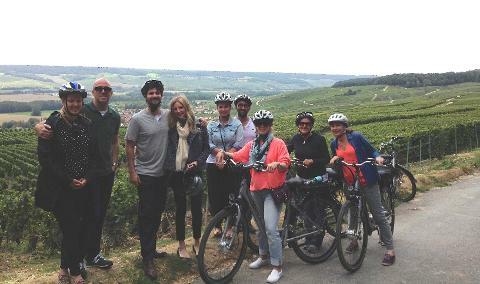 E-bikes have a built in battery which gives assistance when going up hills & inclines- which work perfectly in the rolling hills of Champagne. E-Bikes also help us see more in less time. Don't worry - this is not the Tour de France! However, it is very important that all participants know how to confidently ride a bike. 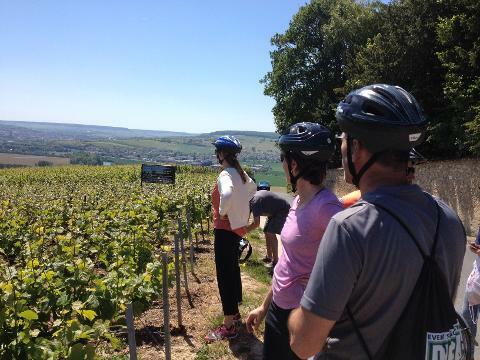 We'll follow vineyard paths, the Marne river, and ancient village streets. 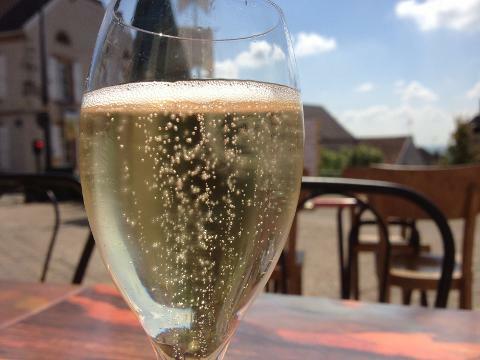 We'll visit our favorite family-run Champagne house- to see & taste how Champagne is made. 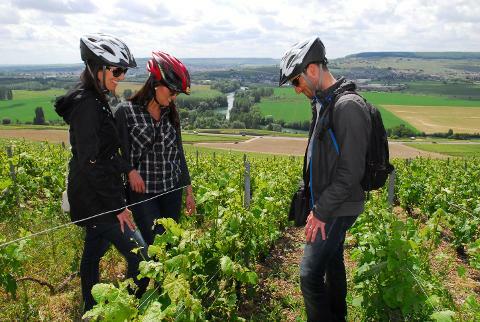 We'll take a guided tour of one of Champagne's most famous cellars- Mercier Champagne, 20 km long! Our guides are filled with local history, fun anecdotes and stories not found in the guidebooks. 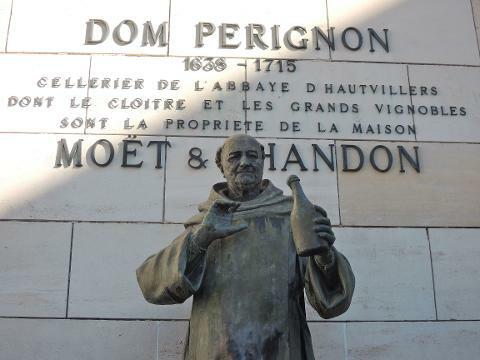 We'll visit one of Champagne's most charming villages, where the famous monk "invented Champagne".